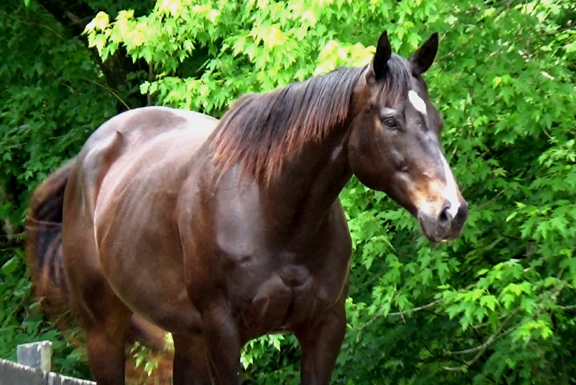 Charcoal is a nine year old Thoroughbred Gelding. This big guy is just a sweetie. He is so gentle and mellow. Just loves attention and is so willing to please. 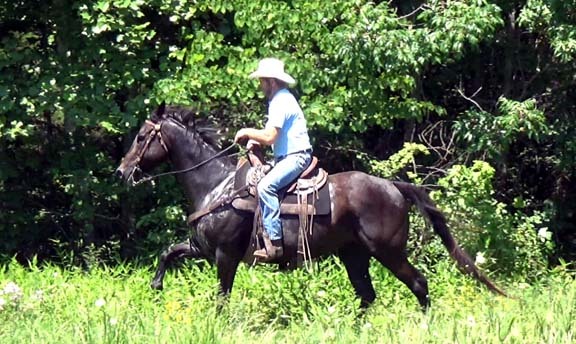 Charcoal is very well broke and has been a great trail mount for his owner. 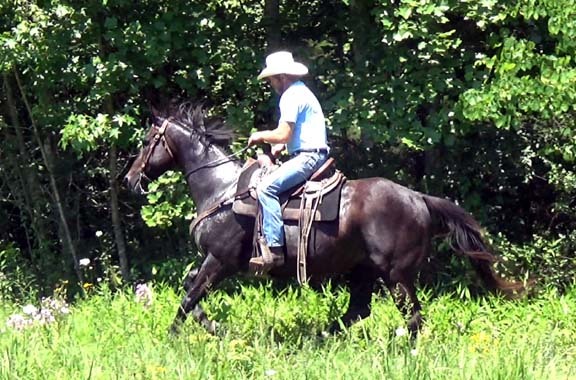 He would not be for sale if his owner was not switching to gaited horses. Fun to ride. Not hot, Does not get jiggy or on his toes. 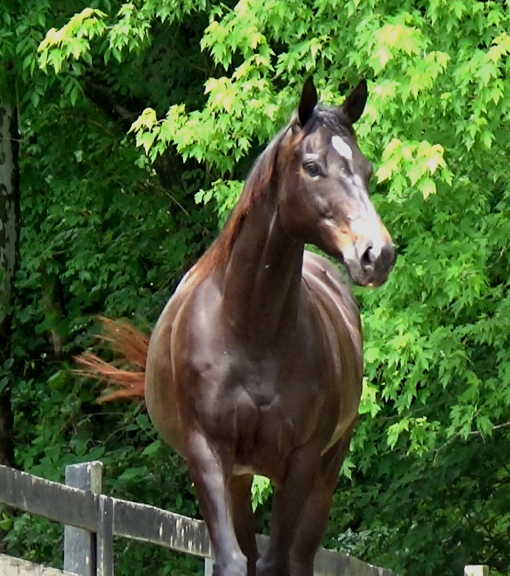 He has the most comfortable jog trot and you do not have to hold a tight rein to rate him. So comfortable on long rides when you want to cover some miles. Charcoal has a forward walk and will easily pick up a jog or lope but will come back to a flat walk with a touch of your rein. He has a great neckrein, responsive and fun. This guy is a good all-around trail and family mount. He is gentle and safe but not so lazy that more adventurous riders cannot have a bit more speed when desired. Charcoal has great manners. 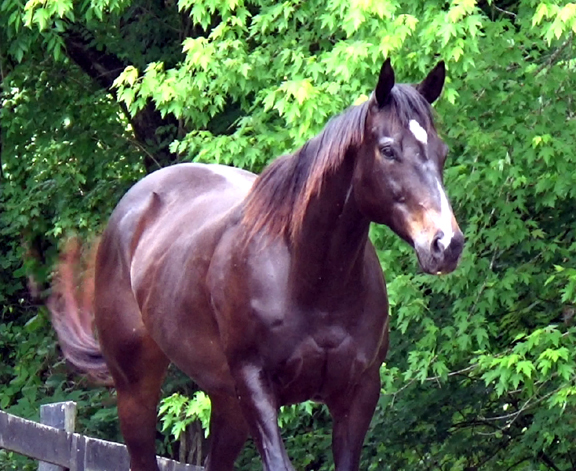 Loads, stands for the farrier, loves his baths and gets along with others in the herd. Come meet this big boy. He loves visitors and they all gravetate to him and his sweet personality.